Timing belts are not something to put off replacing. 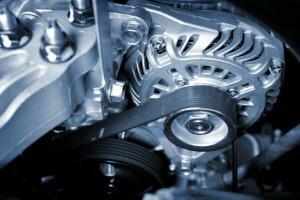 When a timing belt snaps, it causes great harm to an engine and often destroys the engine altogether. If your vehicle is due for a timing belt replacement, or if you are not sure when your vehicle’s manufacture recommends replacing the timing belt, you should come in and have it checked. 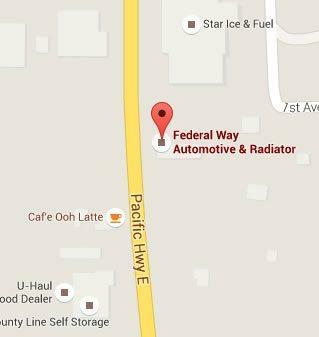 Federal Way Automotive & Radiator offers trusted timing belt replacement near Milton. When do I need a timing belt replacement? Unfortunately, there is no real warning when a timing belt is wearing out. That is why the best way to maintain the health of your car is to proactively have the timing belt replaced, according to the recommendations listed in the owner’s manual. If you don’t have one, or aren’t sure when it was last changed, bring it in to us and we will help. 60,000 miles is the average recommendation for timing belt replacement in most vehicles. There are some exceptions, so you will want to check the manufacturer’s guidelines for your specific make and model. We have that information available, if you are unsure. A timing belt does not thin or stretch out as it ages. Instead, it will become brittle. It is best to replace the belt before it becomes brittle. Every timing belt replacement should be done using a brand new belt. Old timing belts should never be reused. Whenever a timing belt replacement is done, it is best to replace the water pump at the same time. They are located close enough to one another as to make it more economical to do them both at the same time. How often should I change a timing belt? Which type of engine does the vehicle have, an interference or non-interference? When was the belt last replaced? After inspecting your car, our technicians can narrow down when the time is right for a timing belt change. We offer top quality timing belts from trust brand names. All our parts and labor are guaranteed for 12 month or 12,000 miles, so you can feel confident in our work. We have provided quality auto repair near Milton since 1982. In that time, we have built a reputation as a community-based, local company providing excellent service. Call or come by and ask us your questions about your timing belt. We want to keep you and your car safe on the road, and a healthy timing belt is a major part of making that happen. Contact us today for your timing belt replacement near Milton.